It's really a sad news that another company is taking over our beloved telco -Etisalat-, after not been able to pay up some certain amount of debts. The telco company will be rebranded and be called 9Mobile, and this will take effect in coming weeks. According to source, the rebranding process won't in anyway affect your Etisalat line, which means, you will continue to use your Etisalat line after renaming the company to 9Mobile. 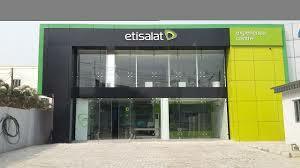 Etisalat had terminated a management agreement with its Nigerian arm and will carry out the rebranding in three weeks time. Reuters reported that the Chief Executive of Etisalat International, Hatem Dowidar, said the company with a 45% in the Nigerian business, is transferring its shares to a loan trustee after the talks had failed. Dowidar also confirmed that all UAE shareholders of Etisalat Nigeria, including state-owned investment fund Mubadala, have left the company. “There’s a new board and we are not part of that company. We have sent our termination letter for the management agreement,” he said. When asked if the company will return to the country (Nigeria) anytime soon, Dowidar replied: “the train has left the station on that one. Being in that market as an investor … are we willing to risk more money compared to the reward for the long-term? “(Nigerian) lenders may try to continue to operate the company until they find a buyer (or) they may merge the company with the existing players in Nigeria, he said, adding that it was tough to say what lenders would do.